Balancing Jane: Keeping Baby Stuff for the Next One? No, what I'm interested in talking about here is the fact that many people seem surprised that I'm getting rid of baby stuff. "Aren't you going to keep them for the next one?" they asked, eyebrow raised. No. I guess not. I'm not sure there will be a "next one"--another baby would be appealing, if I could stomach the thought of doing those first three months again. Maybe with a little more distance, the memory of exhaustion won't be so crisp. But even if I have another baby, it most likely won't be for years. And even if it was going to be next year, I just don't think I could hold on to all of those things. This is on my mind because I read a budget tip in Parenting magazine to buy gender-neutral clothes so that you can keep them for future children. It made me wonder if I'm being wasteful. It's not like I have tons of money to spare, but I have even less time than money, and possibly even less extra space than time. The psychic toll of keeping, storing, and tripping over stuff I can't use seems overwhelming. Do people really keep all this stuff? So far, I've kept one newborn-sized sleeper that she wore all the time because I love looking at how little it was and remembering those first few months (yes, yes, those same ones I'm trying to forget--the mind is a weird place). I'll probably keep my breast pump and maybe the crib because those were more expensive purchases, but I can't see myself hanging onto many of the clothes or toys she outgrows. Besides, if I get rid of the clothes, I have more room for books. So good to run into you at Local Harvest the other day :) I am a purger of stuff as well and I say kudos! 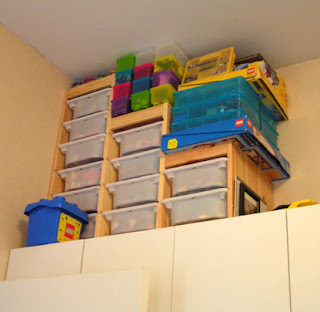 You don't need stuff, it might never fit another theoretical child (after all, they aren't always the same size in the same season as the first), and who needs to keep a house full of crap for a maybe? Someone else IS getting them (Goodwill) and you can then go to yardsales or hand-me-downs or other places if you need another round of maternity or baby clothes, right? Plus, won't a theoretical 2nd (or 3rd or whatever) child want something of their own? Won't people dote on a new kiddo and give them gifts as well? Maybe not as much as the first, but you'll figure it out. I say trips to Goodwill can never be wrong! Yes, baby cloth design idea inform this sites and more parents select good valuable cloth and get the more design.